“I will instruct thee and teach thee in the way which thou shalt go” (Psalm 32:8 KJV). The past year I asked God to show me what career He wants me to pursue. Before I became a Christian, I considered oceanography or landscape architecture because I enjoy science, art, and the outdoors. But now, I want to work with people and point them to the Lord Jesus Christ. I thought about entering the teaching or nursing fields. I think I would like to become a nurse like my sister because I like Chemistry, but I could still help people. Perhaps I could even teach nursing or be a missionary nurse. And so the Lord gave me peace to pursue a career in nursing. In my early teens, I devoured the fictitious Cherry Ames RN series by Helen Wells. The first book published in 1944 during World War 2 became a catalyst for many young women to join the Army Nurse Cadet Corps. Miss Wells continued to write the popular books for years after the war ended. The amazing Cherry worked in over 25 different fields of nursing. 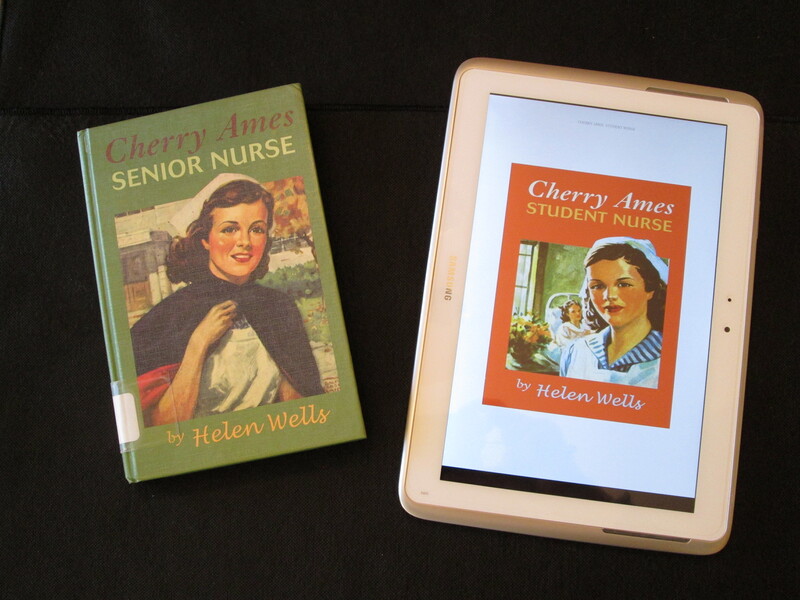 Delighted to discover the series available as electronic books, I smiled as I reread the first one, Cherry Ames, Student Nurse. On her first day of nursing school, the Nursing Superintendent said to the new nursing probation students, “Let me remind you that you are going to need good health, intelligence, unselfishness, patience, tact, humor, sympathy, efficiency, neatness, plus plenty of energy for hard work.” A groan echoed around the room. “But let me remind you, too,” Miss Reamer said, “that nursing is the most rewarding of all professions for women. And frequently the most romantic and exciting,” she added with a twinkle in her eye. I would love to hear from you in the comments why you became a nurse.